This book is about the making of the writer William Faulkner. It is the first to inquire into the three most important women in his life—his black and white mothers, Caroline Barr and Maud Falkner, and the childhood friend who became his wife, Estelle Oldham. 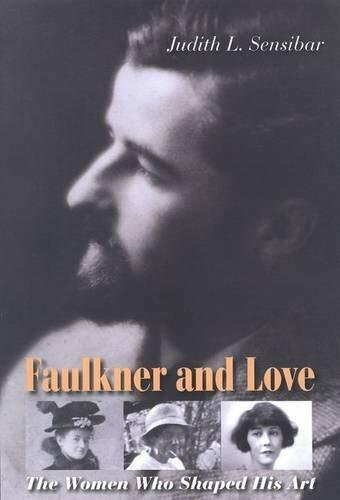 In this new exploration of Faulkner’s creative process, Judith L. Sensibar discovers that these women’s relationships with Faulkner were not simply close; they gave life to his imagination. Sensibar brings to the foreground—as Faulkner did—this “female world,” an approach unprecedented in Faulkner biography. Through extensive research in untapped biographical sources—archival materials and interviews with these women's families and other members of the communities in which they lived—Sensibar transcends existing scholarship and reconnects Faulkner’s biography to his work. She demonstrates how the themes of race, tormented love, and addiction that permeated his fiction had their origins in his three defining relationships with women. Sensibar alters and enriches our understanding not only of Faulkner, his art, and the complex world of the American South that came to life in his brilliant fiction but also of darknesses, fears, and unspokens that Faulkner unveiled in the American psyche. Judith L. Sensibar is the author of The Origins of Faulkner’s Art and the winner of fellowships from the NEH and the ACLS. She lives in Chicago.